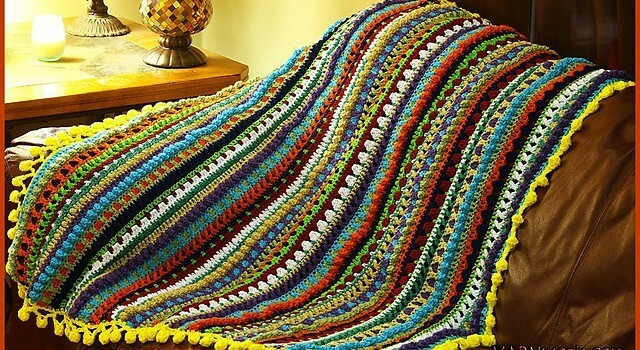 This blanket will most certainly wow any nursery and will charm everyone! 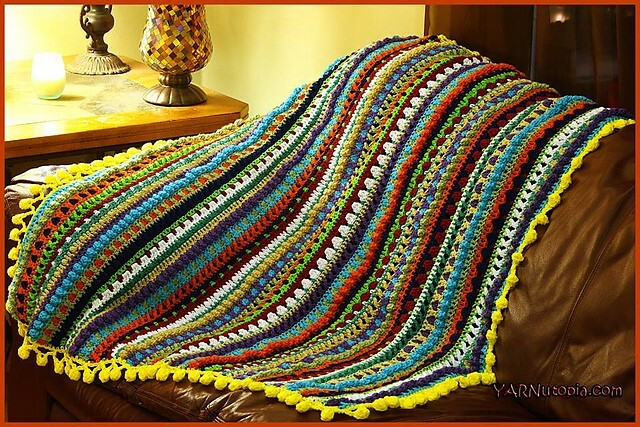 With a variety of stitches which give rich texture to this amazing piece and with a cheerful pop of color in the stripes framed with a crocheted pom border this Color Pop Baby Blanket by Nadia Fuad is happy and fun and unconventional. Would love to download the PDF pattern to go with the youtube video but my Mac laptop won’t use the specified PDF download app 🙁 .